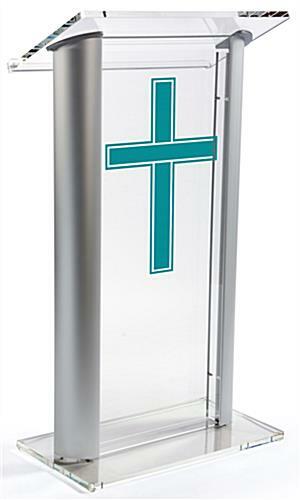 These acrylic pulpits with 1-color cross feature a contemporary design with their clear and silver finish. 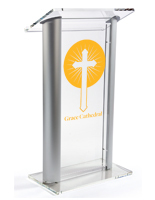 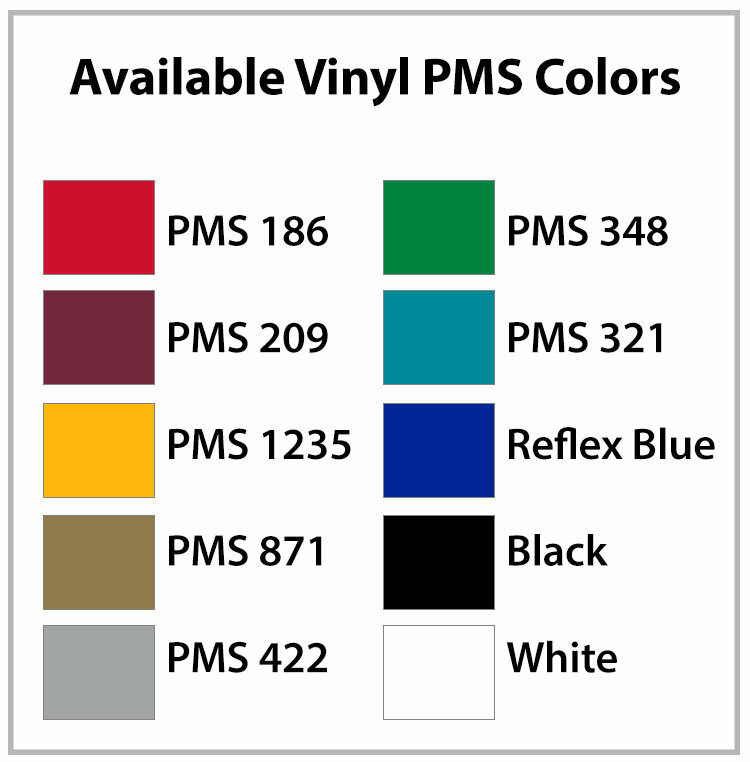 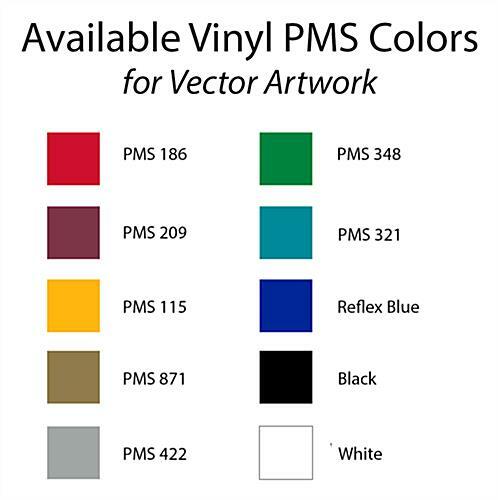 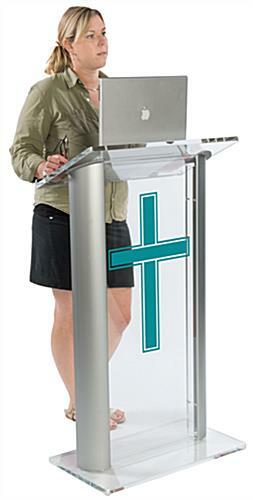 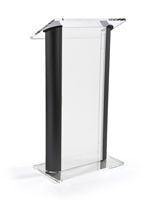 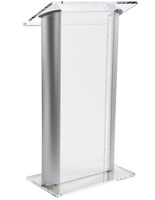 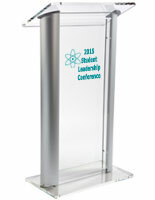 The church lecterns make great stands for places of worship because they come with printing in a 14" x 24" area. 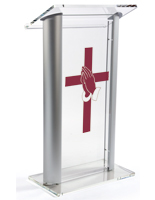 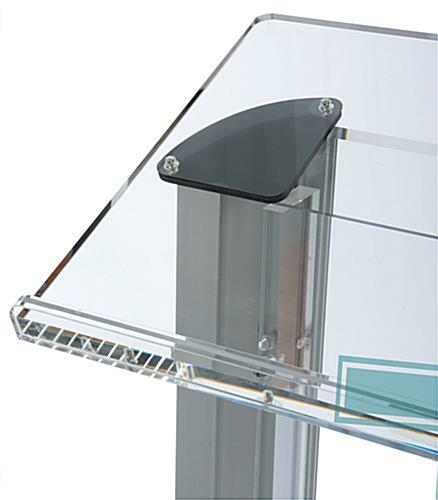 Each of the clear acrylic pulpits also have a large reading surface with a 0.5" book stop that prevents reading materials from falling off. 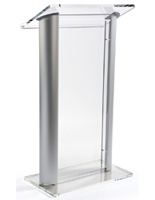 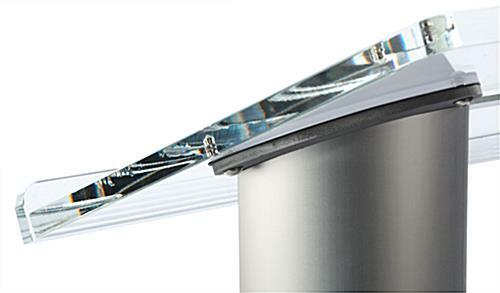 The contemporary stands are imprinted with one of ten available shades to meet the needs of any user. 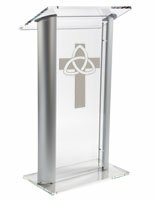 The pulpits ship fully assembled for extra convenience. 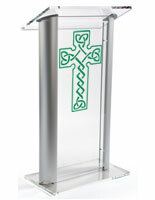 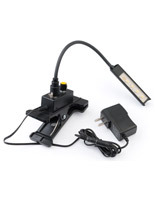 In addition, cleaning solution and a cloth are included with the church lecterns.